(AFP) Bertha, believed to be the world’s oldest hippopotamus, has died aged 65, the Manila zoo said Monday, having beaten the typical lifespan for the mostly herbivorous mammals by decades. The 2.5-tonne female was found dead Friday in her enclosure, with a post mortem examination concluding that Bertha, the zoo’s oldest resident, had died from multiple organ failure, zoo director James Dichaves said. “Bertha was among the pioneer animals here. Her mate died sometime in the 1980s and the couple failed to produce any offspring,” he told AFP. A seven-year-old Bertha arrived at the zoo in the Philippines’ capital the year it opened in 1959. The zoo has lost the records of where she came from, Dichaves said. Fed a diet of grass, fruit, and bread, Bertha lived far beyond the 40 to 50-year lifespans which are typical for the species in the wild and in captivity respectively, Dichaves said. Zoo officials believed Bertha was the oldest living hippo in captivity at the time of her death. Donna, who died in 2012 at the age of 62 at the US Mesker Park Zoo and Botanic Garden in Evansville, Indiana, was previously said to be the world’s oldest hippo, according to media reports at the time. Two years ago, an adult male hippo named Bertie was euthanised at the Denver Zoo in Colorado at the age of 58, the reports said. 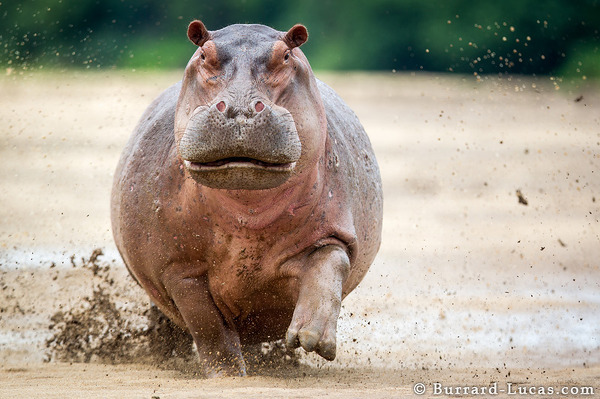 The common hippopotamus of sub-Saharan Africa faces a “high risk of extinction in the wild” from habitat loss and illegal hunting for meat and ivory from its teeth, according to the Swiss-based International Union for Conservation of Nature. Bertha’s death leaves Mali, a 43-year-old Asian elephant, as the oldest remaining animal among some 500 residents at the Manila Zoo, Dichaves said. Animal rights groups around the world have called for Mali, an adult female elephant, to be retired from the zoo and sent to a Thai sanctuary in a seven-year campaign, alleging it suffered from cruelty and loneliness. However, the country’s environment department eventually allowed the zoo to keep the elephant after experts ruled it was healthy and said it was uncertain how Mali would react to the other elephants at the Thai sanctuary, Dichaves said.